Caitlin Bristow is a Consultant at Campbell & Company. She graduated from Saint Louis University School of Law where she studied Nonprofit law and Estate Planning. She enjoys the intricacies of planned giving and how these gifts can help her clients. Head of School transitions can happen for any number of reasons—from retirement to a new opportunity arising. Planned or unplanned, the transition presents both an opportunity and a challenge for independent school communities. 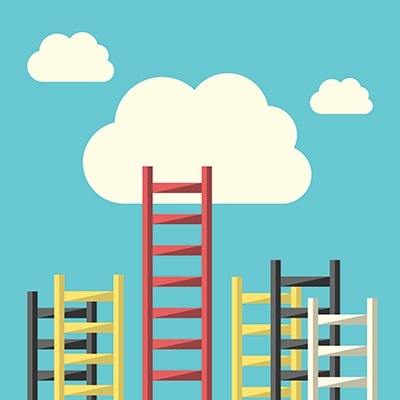 Whether an internal candidate is becoming the new Head or an outside candidate is taking over the role, you need to create a sound plan to ensure a smooth onboarding for the new leader. Alumni engagement is a perennial concern among higher education advancement professionals—and for good reason: a strong program can not only sustain your institution's annual fund over the long term, it can also help build your major donor pipeline and provide your school with some of its most effective volunteers. 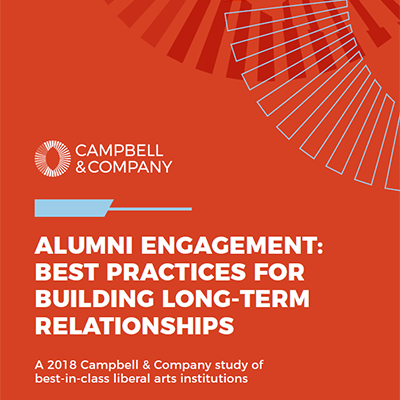 Although institutions of every stripe would stand to benefit from engaging their alumni more effectively, the challenges of building support among alumni are of particular relevance to small and mid-size liberal arts colleges. These institutions’ strengths and weaknesses present them with a unique set of opportunities and challenges. 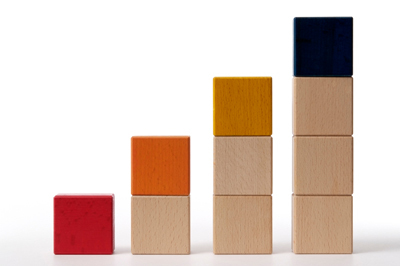 Download the report and proprietary maturity model. Congress passed a major tax reform bill on Wednesday, December 20th—including many provisions that could impact nonprofit organizations. Nonpartisan analysts have projected that the bill may cause charitable giving to drop by as much as $20 billion in 2018. As the sector regroups, what high-level information do all leaders need to understand, and how can fundraisers prepare for the weeks ahead? To help organizations plan their next course of action, Campbell & Company put together a primer on the standard deduction and estate tax changes, along with key recommendations for development staff. What is #GivingTuesday? 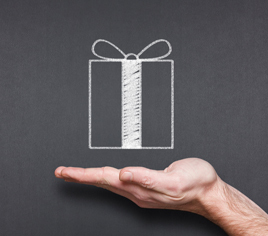 How does #GivingTuesday fit into your development plans? What are the steps to #GivingTuesday success? Here’s what you need to know to engage support, attract attention, and maintain enthusiasm for your #GivingTuesday program. On Friday, December 18, 2015, President Obama signed the Permanent IRA rollover into law. H.R. 2029 retroactively reinstates the IRA Charitable Rollover provision originally enacted into law in 2006. 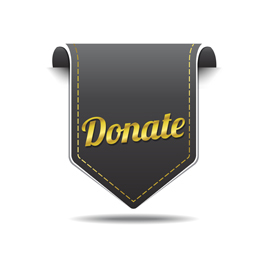 The Charitable Rollover provision gives donors age 70 ½ and older the opportunity to transfer up to $100,000 from their IRA to a qualified public charity free of federal income tax. Chicago, IL (December 1, 2015) – Today marks the fourth annual #GivingTuesday event and we are eager to see this year’s participation continue to grow exponentially. Nonprofits across the globe have been sharing their stories and promoting their cause through various social media platforms resulting in more support leading up to #GivingTuesday. This year at Campbell & Company we shared our #GivingTuesday tips and tricks through our toolkit, webinar, and blog. It has been a pleasure assisting our nonprofit partners make the most of #GivingTuesday over the past few months and we are looking forward to hearing the results of these efforts. In “7 Benefits to Starting a Planned Giving Program” and “Donor Benefits to Giving a Planned Gift” we looked at planned giving at a high-level and how it can benefit an organization and the donor. The next installment of posts will explore the different types of planned gifts to set a foundation for a successful program. In 7 Benefits to Starting a Planned Giving Program, we learned how planned gifts can benefit an organization. However, when approaching individuals for a planned gift, it is important to understand and then explain to a potential donor how a planned gift can benefit him or her as well as the organization. 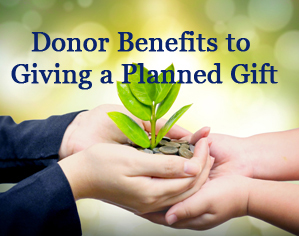 Planned gifts can come in many different forms and they each have their own nuances, but below are a few key donor benefits to giving a planned gift. On December 16, 2014 the Senate passed HR 5771 which included a retroactive enactment of the IRA Rollover to January 1, 2014. This provision gives donors age 70 ½ and older the opportunity to transfer up to $100,000 from their IRA to a qualified public charity free of federal income tax. 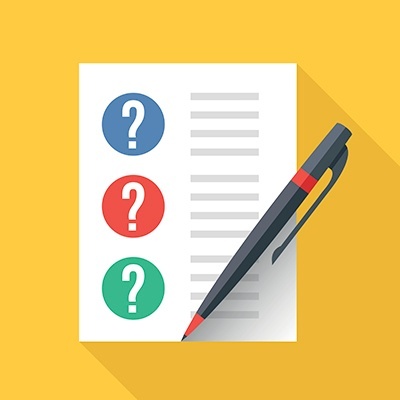 For donors who want to do an IRA charitable rollover for the 2014 tax year, they can do it with near certainty as President Obama is expected to sign off on the one-year retroactive extension right away.